a Banks can offer corporate or retail products denominated as ‘Islamic’, upon obtaining a relevant licence from the Central Bank of Egypt (CBE) (e.g., an ijarah licence). Only licensed banks can request said licence from the CBE. b Takaful insurance is also regulated by the Egyptian Financial Supervisory Authority (EFSA) and there are licensed takaful insurance companies operating in Egypt. It is expected that a new version of the Insurance Law will be issued to take into account takaful insurance. Non-banking financial activities are generally subject to EFSA supervision with the EFSA board regulating said activities by way of decrees and EFSA board resolutions. c Sukuk are the most specifically regulated by virtue of Law No. 10 of 2013 (the Sukuk Law), which covers all envisaged sukuk types, issuance regime and redemption rights, with EFSA being the competent regulator. Note, however, that as a matter of practice, there has been no major sukuk issuance to date. It is also worth noting that the Egyptian Real Estate Finance Law No. 148 of 2001, as amended, recognises ijarah as a method of financing real estate and defines it as the leasing of real estate ending with ownership. The Sukuk Law prescribes different structures, including inter alia, sukuk murabahah, sukuk istisnah and sukuk ijarah. In addition, the Egyptian Real Estate Finance Law allows for all types of ijarah in relation to real estate in Egypt. The two main bodies competent to regulate and supervise Islamic finance activities are (1) the CBE, which is the competent entity for granting licences to Egyptian banks for offering Islamic finance products; and (2) EFSA, which grants licences for takaful insurance activities (in addition to its general competence of overseeing financial non-banking activities, including those activities that are structured or branded as ‘Islamic’). Only banks registered with the CBE can request the licence mentioned under (1) and the banks must have established a competent shariah board, as a matter of standard market practice based on best international market practice. Regarding financial non-banking activities, EFSA Board of Directors’ Resolution No. 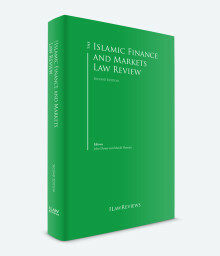 8 of 2014 provides that an investment fund or a takaful provider that offers products marketed as ‘compliant with shariah provisions’ must establish a board to ensure compliance with shariah principles (i.e., the shariah board, similar to the board established by banks offering ‘Islamic products’). Takaful companies as such are subject to shariah audit by EFSA. The board’s members must be chosen from a list of scholars and professionals registered with EFSA, in a special register drawn up for that purpose. EFSA also has its own shariah board, which as a matter of practice serves to provide supervision and follow-up to the EFSA board on products deemed ‘Islamic’. Most major Egyptian banks offer a range of Islamic corporate and retail finance products, and have their own shariah boards. These banks may also offer conventional finance products in addition to Islamic products. For large-scale greenfield projects or asset acquisition financing, it is typical to have an international bank or development finance institution participate in the financing (with a shariah-compliant mandate forming a part of the finance scheme), with ijarah being the most commonly used tool. Because there is no specific regime under Egyptian law for ownership in Islamic finance transactions (since Egyptian law only recognises the transfer of title of real estate by way of official notarisation, which can be impractical in cases of Islamic financing due to the timelines involved), Egyptian banks must proceed with an Islamic transaction as if it is a conventional one. For example in an ijarah, whenever a bank is leasing an asset to a lessee, it is considered as the owner of said asset under the finance documentation, but the lessee will remain the registered owner and will provide a security on said asset to the bank. Egyptian companies must also adopt the Egyptian Accounting Standards for auditing purposes, even if the documentation provides for another accounting standard (e.g., AAIOFI). Egyptian banks with a licence from the CBE offer a range of shariah-compliant products, including murabahah, for consumer goods purchase (with purchase of cars being relatively successful). Banks have also started to offer service ijarah to finance service needs, in particular in the healthcare and education sectors. There is no specific treatment for Islamic financial products under Egyptian law. As long as the provider of the financing is a licensed bank, the transaction will be treated as a financing by the Egyptian tax authorities and, accordingly, the general tax provisions under Egyptian law would apply, including withholding tax, stamp duties, income taxes and VAT. There is no specific insolvency or bankruptcy regime for Islamic finance participants under Egyptian law. The competent Egyptian commercial courts would adjudicate insolvency and bankruptcy-related disputes, regardless of whether the creditors or debtors have used shariah-compliant products in their dealings. As a matter of Egyptian law, the main criterion for the determination of an Egyptian court in relation to any bankruptcy proceedings would be the debtor’s general inability to meet its debts when they fall due. There is no separate court system for Islamic finance products or participants. Civil courts or the economic courts would have jurisdiction to oversee disputes (or arbitration, if agreed upon by the parties in their contractual arrangements). There is no separate legal regime for shariah under Egyptian law. However, the Egyptian Constitution provides that shariah is one of the principle sources of legislation. To the extent that a shariah principle is claimed, Egyptian courts would have discretionary authority in light of Egyptian legislation and public order to apply that principles. There have been no recent cases in Egyptian courts relevant to the topic of Islamic finance. Although one of the earliest modern finance initiatives intended to be shariah-compliant was in Egypt (Mit Ghamr Saving Bank, 1963), Islamic finance has not yet picked up in Egypt. The association made by the general public between Islamic finance and various pyramid schemes dubbed ‘Islamic’ in the 1980s and, more recently, certain political groups, is often said to be part of the reason for this. This is changing, however, as several ‘Islamic banks’ have started operating in Egypt, whether directly (such as Abu Dhabi Islamic Bank, which has an Egyptian presence) or through specific project financing, often with a development angle. The Islamic Development Bank’s Islamic Corporation for the Development of the Private Sector is a notable example of this. There are also signs that the regulatory landscape is starting to integrate Islamic financial concepts. As of 2013, sukuk are regulated, and there have been announcements that a new Insurance Law will explicitly recognise and regulate takaful. Also, as clarified above, EFSA is increasingly adapting its tools to oversee financial non-banking products marketed or intended as shariah-compliant. 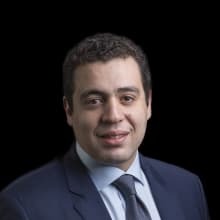 1 Mahmoud Bassiouny is a partner at Matouk Bassiouny.